Ameri-Force is the industry leader in recruiting and supplying qualified industrial technicians. Our management team has over 3 decades of experience in the industrial, environmental, plant maintenance, and disaster recovery and construction markets. We are the industry experts at hiring, training, and teaching the required safety skills to our employees. 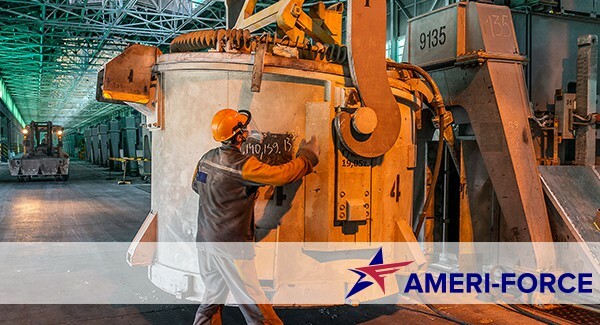 Ameri-Force provides skilled Industrial Technicians to power generation facilities, refineries, steel mills, chemical plants, pulp/paper mills and the marine industry, just to name a few. Our capable recruiting and support specialists are experienced in enabling you to fulfill your manpower requirements and are committed to maintaining the highest degree of customer satisfaction. We will continue to work with your staff throughout the entire job assignment to ensure our qualified employees provide value and continue to meet your needs until the job is completed.